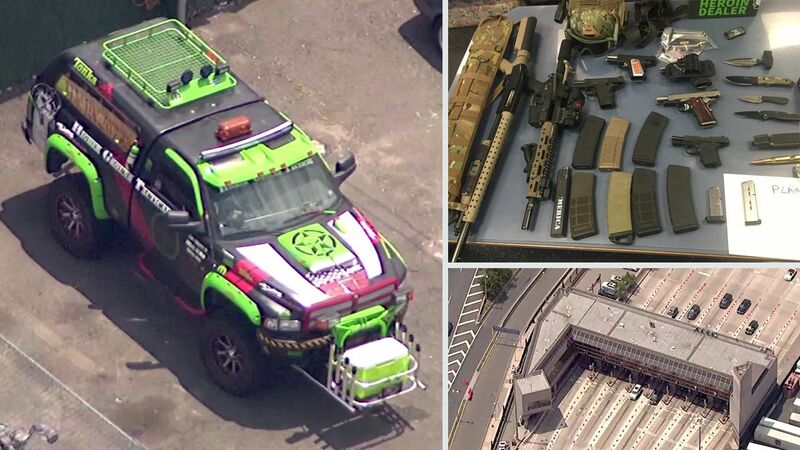 WILKES-BARRE, Pennsylvania -- A teenager who inspired a group of Pennsylvania residents to attempt to drive into New York City with a cache of weapons in a botched "rescue" attempt has died. James Patterson tells The Citizens' Voice that his daughter, 18-year-old Jenea Patterson, died Wednesday of a drug overdose. The Luzerne County coroner confirmed the death but says it is still investigating the cause. Pennsylvania residents John Cramsey, Dean Smith and Kimberly Arendt are facing weapons charges after they were stopped at the entrance of the Holland Tunnel in Jersey City last June. Cramsey, whose daughter died of a heroin overdose a year ago, posted online shortly before the arrest that he was heading to New York to "rescue" a teenager whose friend had overdosed. The defendants have pleaded not guilty.